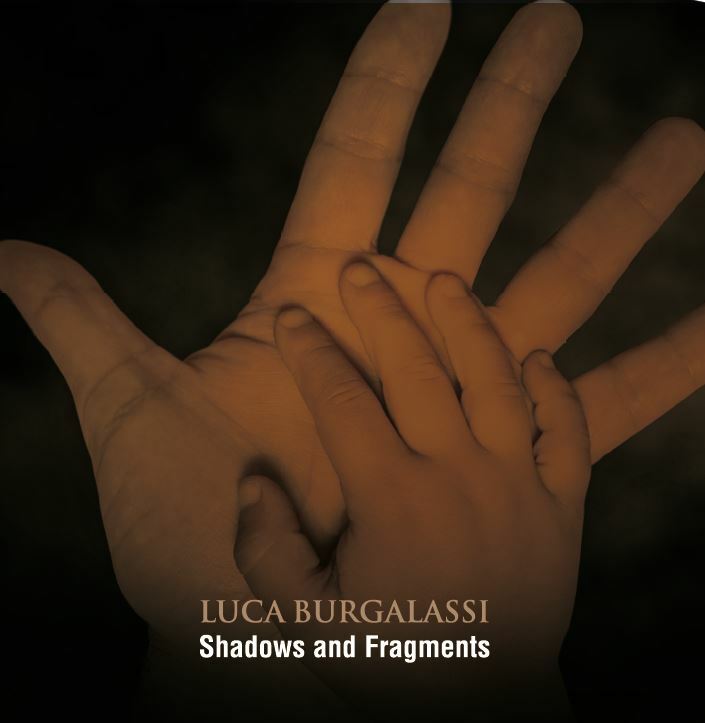 I just had the chance to review the newest release, Shadows and Fragments by Luca Burgalassi and it’s actually quite beautiful. Opening with Shadows, a softly sung ballad over acoustic guitar and electric guitars by Luca Burgalassi, strongly precise bass by Giacomo Bertaccini and light percussion by Ettore Fancelli this is a super melodic opener. Dust and Rust has an open country sound with nicely blended vocal harmonies with Burgalassi on dobro, banjo, guitar, mandolin and harmonica as well as lead vocals, Fancelli on drums, Mimo Pellegrini on bass, Stefano Lunardi on violin and Luca Bellofiore on accordion. An excellent track with nice harmonies, this is great stuff. Nicely arpegiated acoustic guitar and solid vocals are the secret to Dark Cherries and Wine with Franco Ceccanti on cello. With an intricate rhythm and tight electric guitar soloing, this is a cool track. Orange Rooms has a warm, adult vocal, jazzy sound with French cafe accordion and violin ambiance and slick acoustic guitar riffs. Highs and Lows is a bouncy pop track with a strong catchy hook. Lord Randal features Wedny Nieper and Burgalassi trading lead vocals over a somewhat classical sound created by Burgalassi on guitar and mandolin, Pellegrini on bass, and Stefano Lumardi on violin. Starless Night Blues is a real cool track with true jazz style blues guitar riffs. Really nicely presented under Burgalassi’s vocals and Pellegrini on bass and Fancelli on drums, one of my favorite tracks on the release. Acoustic guitar instrumental, 34 Orange Road, is really nicely written and performed showing clearly Burgalassi’s excellence in his art. Very nice. Wrapping the release is Fragments, a quiet ballad with emotive vocals and guitar accompaniment by Burgalassi, backed nicely by Cerranti on cello. A very solid track to conclude a very solid vocal release.